Strawberry Cream Puffs – this is a dreamy dessert! 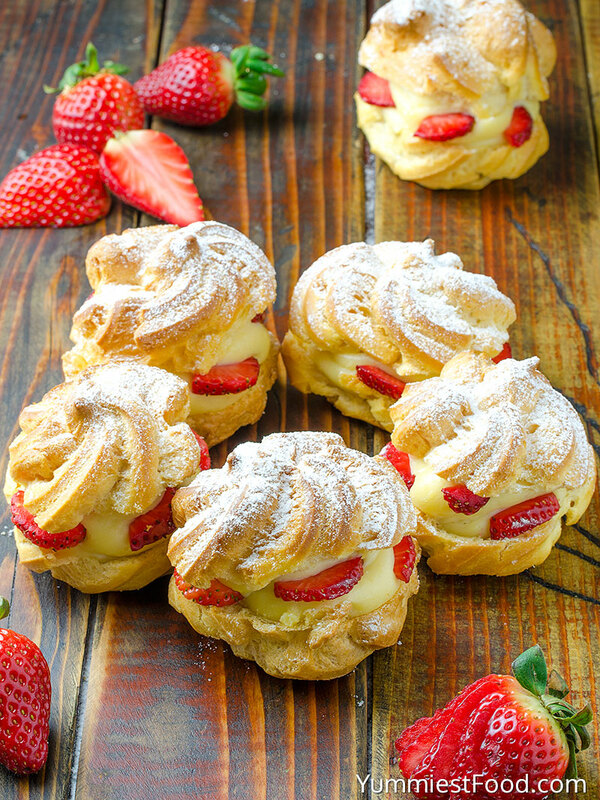 These Strawberry Cream Puffs make perfect snack or dessert. Very easy to make with few ingredients! 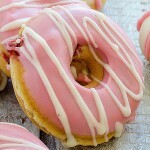 These Strawberry Cream Puffs are so light, fresh, moist and delicious. Perfect for every occasion! Do you know anyone who doesn’t like this dessert? I don’t think that there is someone who doesn’t like this light creamy dessert. I know that there are many recipes out there on the internet but I think this dessert must be on my food blog. This is my version of Strawberry Cream Puffs. 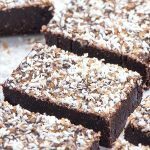 You can make this recipe very easy and for a very short time and you don’t need many ingredients to make it. For dough you need only four ingredients and topping is your desire. This recipe is super good combination of ingredients. My warm opinion is to follow the instructions when make this dessert. I want to help you and we can together make super dough and then you make your topping which you like the most. I have tried many different toppings but I really like the most this combination with heavy cream and vanilla pudding mix. 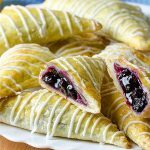 Also I like to add my favorite fruit and then I get my husband’s favorite dessert – Strawberry Cream Puffs. 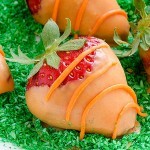 I know that you want something sweet and easy to make to surprise your family after lunch. My answer is absolutely this recipe and these Strawberry Cream Puffs. 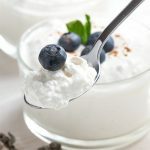 This is the best recipe I have ever tried and I really like this topping and I am also sure that you will like it too. 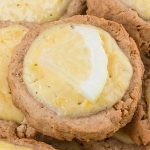 When I make this recipe I always make a few puffs more because we really like them and eat them for a very short time. These Strawberry Cream Puffs are so crispy and topping is so light and this two go perfect together. 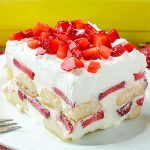 I know you will like this dessert very much especially when you add your favorite fruit and get that lovely freshness. My children like strawberries so that’s my option. 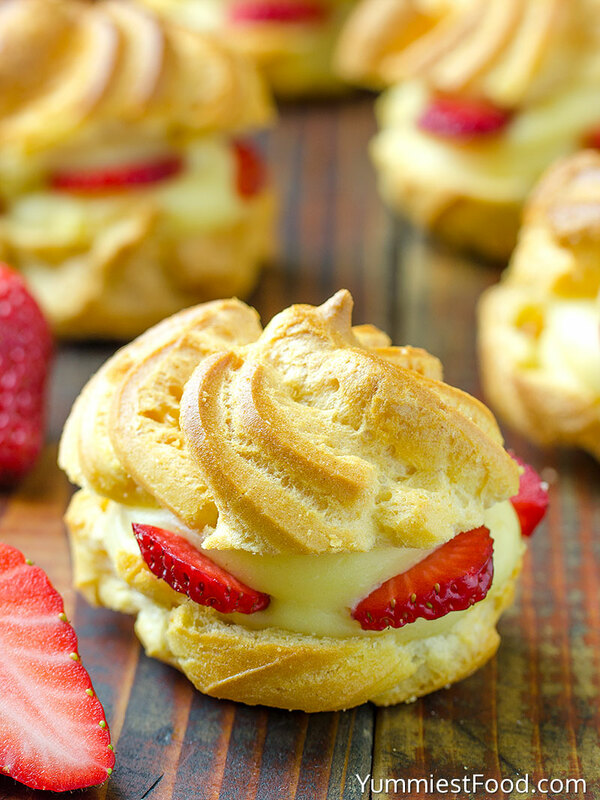 Soft, tender, moist and red strawberries perfectly go in combination with these puffs. I recommend you to make this recipe right now because I know that you will enjoy in super dessert – Strawberry Cream Puffs. Strawberry Cream Puffs - this is a dreamy dessert! These Strawberry Cream Puffs make perfect snack or dessert. 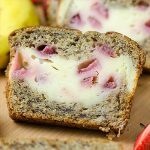 Very easy to make with few ingredients! 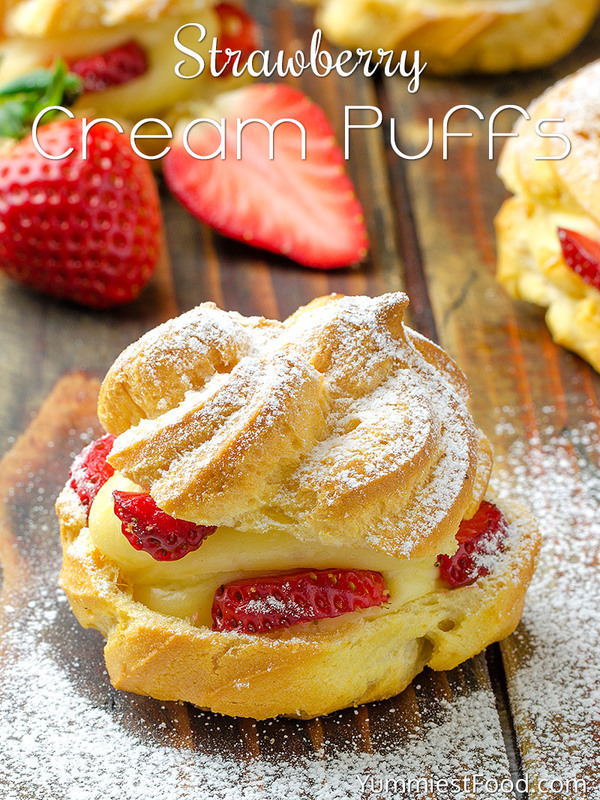 These Strawberry Cream Puffs are so light, fresh, moist and delicious. Perfect for every occasion!